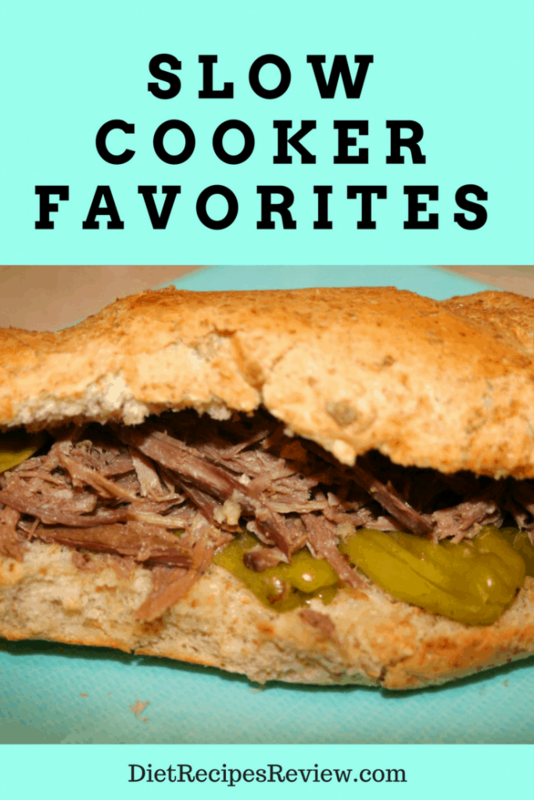 I love my Slow Cooker, it is one of my most used kitchen appliances. I got one for Christmas a couple years ago and that made my Christmas. 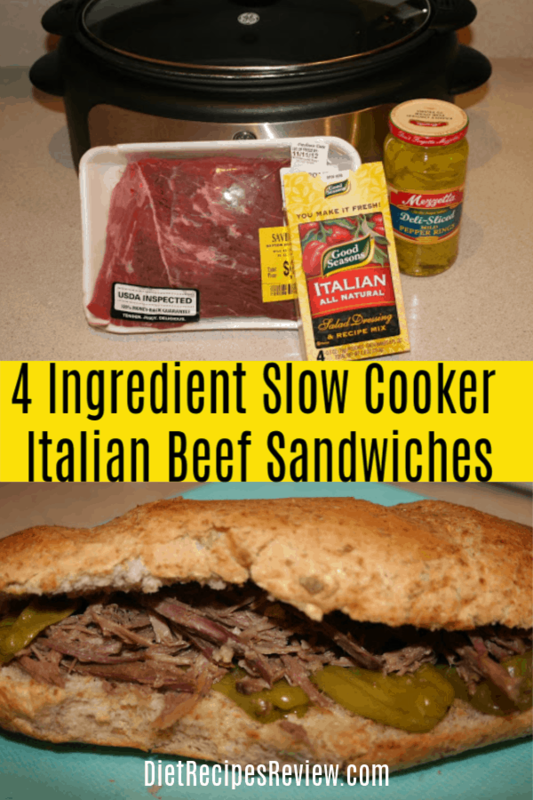 This is such an easy recipe all you need is 4 ingredients Beef Round Top Roast, Dry Italian Dressing mix, 1 jar of pepperoncini sliced, and whole wheat submarine rolls. When buying Beef round top roast I have 2 tips. One is to buy it when it is on sale and buy extra so you can have it saved in your freezer for when you need a quick meal to put together. 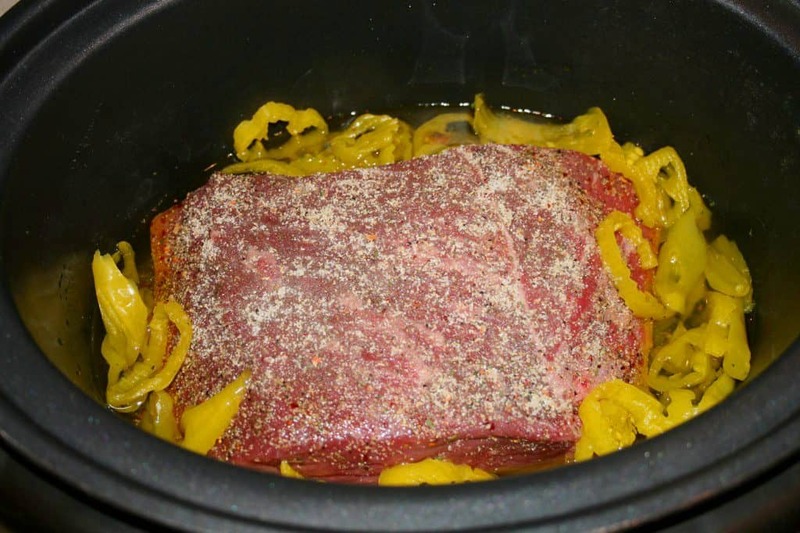 If you cannot find Beef Round Top Roast then find another lean cut roast for a reasonable price. Second make sure to cut off all excessive fat that you can see which will help reduce the fat in the meal and help keep the juice in your slow cooker from not turning so greasy. 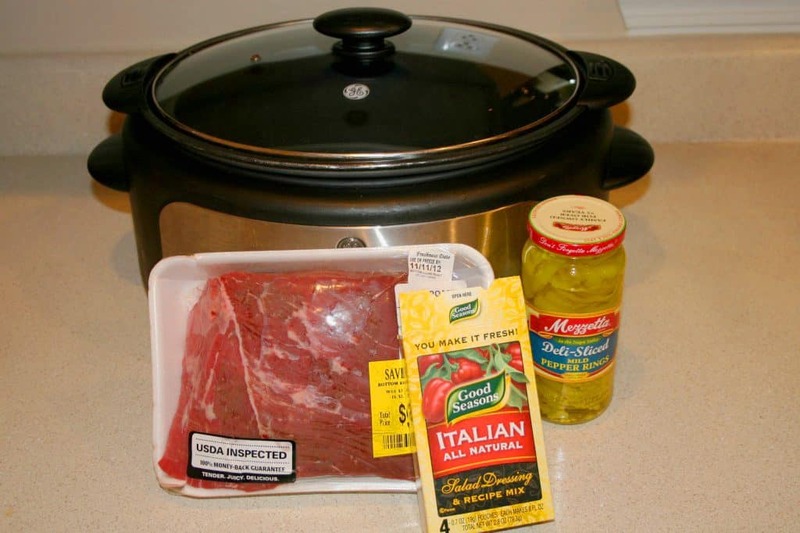 Place the Beef into the center of the slow cooker. On top of the beef add the dry Italian dressing I like to rub it in with a spoon and create a crust on top of the beef (you can also rub the whole roast with the dressing if you want to I just do this in the slow cooker to make it less of a mess to clean up afterwards). Then pour the pepperoncini peppers around the beef until the jar is empty. With cooking the pepperoncini’s for 8 hours it will help reduce the heat and make them more enjoyable for everyone else. Set for 8 hours and go about with your plans for the day. Spread the Italian Dry dressing mix on top. Spread the pepperoncini's around the roast evenly. Once the meat is cooked through, take 2 forks and shred the meat until in smaller bites. Place on submarine roll and serve. This sounds delicious, something we will love and it is so easy. Thank you! !